I’m in my 30s now and like any honest man I never have stopped searching culture for signs of authentic manhood. I like my fellow brothers today are bombarded with conflicting messages about what it means to be a man. Despite this, I’m learning more about what it means to be a man since getting married and having kids. Prior to both of those huge components of life, I felt more like a boy wandering in a jungle full of loud and confusing imagery telling me what it means to be a man. But these scenes of life I encounter tell me there is more beyond the curtain. My wife and I recently watched (twice) Crazy, Stupid, Love (2011), starring Steve Carell, Julianne Moore, Ryan Gosling, and Emma Stone. I must say that I haven’t laughed so hard at a romantic comedy in years. Yes, I’m a fan of the greats like When Harry Met Sally, Sleepless in Seattle, Say Anything, and Sweet Home Alabama. Most guys do love those movies whether they admit or not. I laughed so hard at the last line in the theatre but then paused to looked down at my jeans and realized they were from Gap. Good grief. Despite the movie’s humor, it raises many questions about how men should act and view themselves. Without ruining the movie, it probably left more questions about this issue instead of giving us answers. Maybe that wasn’t the point of the movie. In our lives we are confused by the extremes of man; the angry brute who only will watch and participate in Ultimate Fighting, the passive male asleep at the wheel of life not willing to engage in life, or metrosexual who worries more about himself, his looks, and won’t commit to any woman. If we as men are not careful, we will get lost in the extremes of post-modern manhood. What Crazy, Stupid, Love shows us is a glimpse of the transformation process to become a man. I can’t judge either character too harshly because they are in this process. I take comfort knowing that like them I don’t have it together. So where do I go now? I join Steve Carell and Ryan Gosling’s characters in this process. All I know is that I’m not going to sit down and wait for things to happen. Pursue genuine friendships with men. To seek mentors I admire who are older than me. Study the great men of history. Be humble about my successes and failures. Share the wisdom I’ve acquired with those younger than me. Pray like Christ, the best example of man. What does it take to be a man in your point of view? 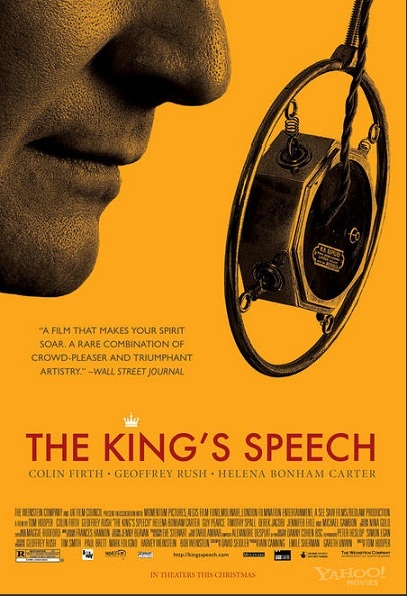 This past week I’ve watched two fantastic films: The Social Network and The King’s Speech. Both are tremendous works of cinematic art. Both were successful at the Golden Globes and most likely will do well at the Oscars. Most importantly, they tackle some key issues that make the movies relatable and by all means fit in the “great” category. The themes of these films are classic Shakespearian: Friendship, trust/betrayal, duty, love, insecurity, and courage. As a man these themes came right out from the screen and hit me in the heart. 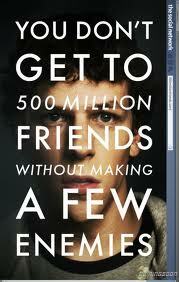 The Social Network is a breakdown of the things that can make men great. The King’s Speech is a build up to those things that do. They are equally important to learn from. In life I’ve learned that every person is flawed. It’s what one does to overcome it that matters. Friendship. Find your Lionel Logue (Geoffrey Rush’s character). He is the guy we all want to turn to in life. Duty. Sometimes whether we don’t feel like we deserve to be in a certain position (or don’t want it), we must rise up to honor those before us. Courage. Know that you can overcome anything with the help of others and the willingness to risk. Stand up for what you believe in. It’s not supposed to be easy. Trust/Betrayal. Be aware of those around you. We’ve all been betrayed. It is human nature to a degree. I’ve betrayed friends before unfortunately. Ask forgiveness and forgive but learn. Trust can be earned back over time. Insecurity. We don’t have it all together. No one does. Be open about that and trust in God, in others who love you, and remember that you’re not alone. Love. Need I say more. If you haven’t seen these movies, please do. I’m challenged by the deeper themes here. What about you?